Teacher Leader roles in Denver Public Schools (DPS) are an opportunity to lead without leading the classroom. All roles are designed for excellent teachers to maximize their impact through the school in a leadership role, while simultaneously teaching a highly effective classroom. Candidates must meet eligibility requirements in order to apply for and serve in teacher leader roles. 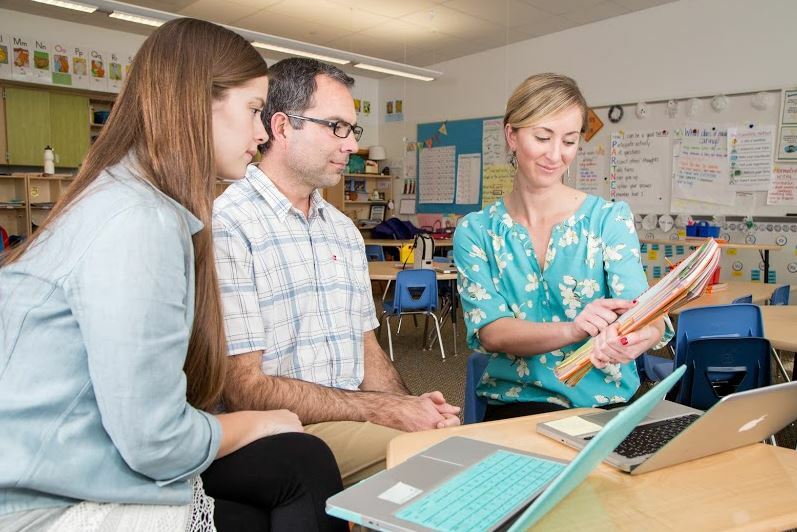 This page, organized by type of applicant, guides you to determine if you are eligible to play for Team DPS as a teacher leader next school year. If you are a current teacher, you can find your projected teacher leader eligibility status in Infor HR. To be eligible for Senior / Team Lead roles, candidates must have a 2017-18 rating of Effective or Distinguished. If your projected teacher leader eligibility status in Infor HR is Insufficient Data or Not Applicable, this means that DPS doesn’t have enough information about your teacher effectiveness to confirm eligibility. You may still apply to teacher leader roles, as long as you can provide teacher effectiveness data to the hiring manager as evidence of meeting eligibility requirements during the school-based selection process. If your eligibility status is Not Yet Eligible, you are not able to apply for that teacher leader role for the 2018-19 school year. If you would like principals across the district to have visibility into your interest in Senior / Team Lead roles, please apply to the General Senior / Team Lead – Pooled posting. Please also apply directly to school-specific teacher leader postings that interest you. If you are a DPS employee, you can find your projected teacher leader eligibility status in Infor HR. If you didn’t teach in DPS in 2017-18 or were not in a role that receives a LEAP rating, you will have a current teacher leader eligibility status of Insufficient Data or Not Applicable because DPS doesn’t have enough information about your teacher effectiveness to confirm your eligibility. All candidates new to DPS must first complete the DPS General Teacher screening process, as classroom instruction is a vital component of all teacher leader roles. Candidates not currently employed by DPS in any capacity will have an eligibility status of Insufficient Data or Not Applicable because DPS doesn’t have enough information about your teacher effectiveness to confirm your eligibility. You may still apply to teacher leader roles if you can provide teacher effectiveness data as evidence of meeting eligibility requirements during the school-based selection process. External candidates are also encouraged to apply to the General Senior / Team Lead – Pooled posting, which will give principals across the district visibility into your interest. Please also apply directly to school-specific teacher leader postings that interest you.